The school is R.A.B Approved. It’s important to learn proper Shiatsu techniques from the beginning. Initially, you will learn simple techniques that will help you work comfortably on a futon mattress on the floor. 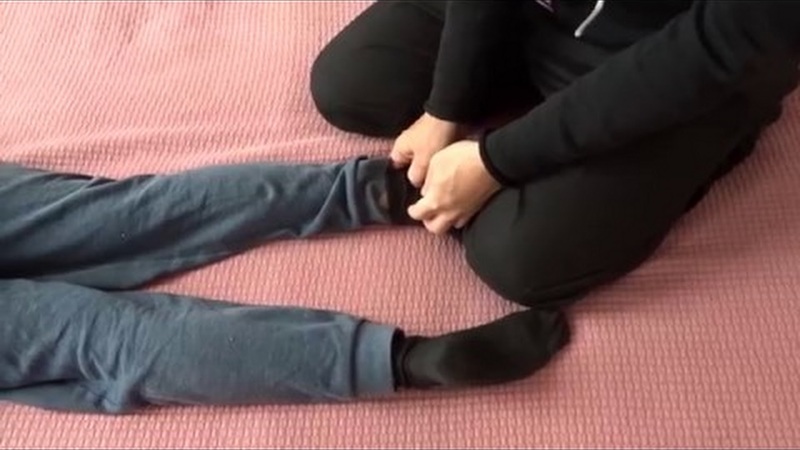 How to transfer your body weight into comfortable finger pressure. 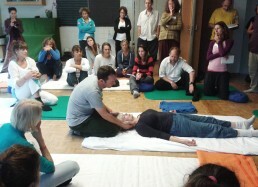 How to relax your own body when giving shiatsu. How to press on points and meridians. How to locate the 12 classical Chinese meridians and some of their most interesting acupuncture- points groups. Starting an introduction to the Organ functions of T.C.M. Start to learn about the five elements. At this stage in the course, you will learn four essential treatment programs. They make it possible for you to practice the meridians efficiently and to provide simple treatments to friends and family at home. The Upper Heater for the upper body chest and arms. Lung, Heart and Pericardium meridians. In the second part of the course, we will look at quality of touch and teach you how to sense and feel reactive and non-reactive areas on the body and in the meridians. In Zen shiatsu, this is called the Kyo and Jitsu response. To give good Shiatsu is not just about physical strength, but more about being able to feel and being sensitive to the flow of vital energy (ki) in the client’s body. This form of sensitivity is the Art of Shiatsu, and it is undoubtedly a central skill for a Shiatsu therapist; it takes time to learn. In Zen Shiatsu it is called Oneness. Here you will learn how to work with both hands, feeling and working with them together as one. We will also work with depth of pressure on a meridian and look at how – by being aware of your own body – this can help you feel what is happening in the client’s body. We will also learn how to use the Five Elements to guide us and help us understand better what our clients are experiencing. We will look at Zen Shiatsu theory, the expression of each meridian on a physical-mental-emotional-spiritual level and how they work together. When working with Shiatsu, we find that the symptom never stands alone. A Shiatsu therapist understands that each client is unique and that whatever illness they have it needs to be looked at holistically. Here you will learn to see how people express their lives on a physical, emotional, mental and spiritual level and how these systems work together in harmony. Here we will also look at traditional meridian treatment strategies for treating some of the most common health issues you meet in a Shiatsu clinic. You will learn to look at the client’s symptoms not only as something negative but as a possible step in their overall healing process. Here we view the symptom as something that is blocking the client’s life path. Why is the symptom there? What part of their life is it blocking? How can we help them move forward again? In the final part of the course, we will help you work with shiatsu in a clinical setting, putting all the information- diagnosis types- techniques together and try to help you build your style of treatment. During the course, we will invite your friends, family and colleagues to participate in student clinics. These clinics allow you to gain practical experience under supervised conditions.